We have had a busy week on the farm at River Bluffs, but first things first. 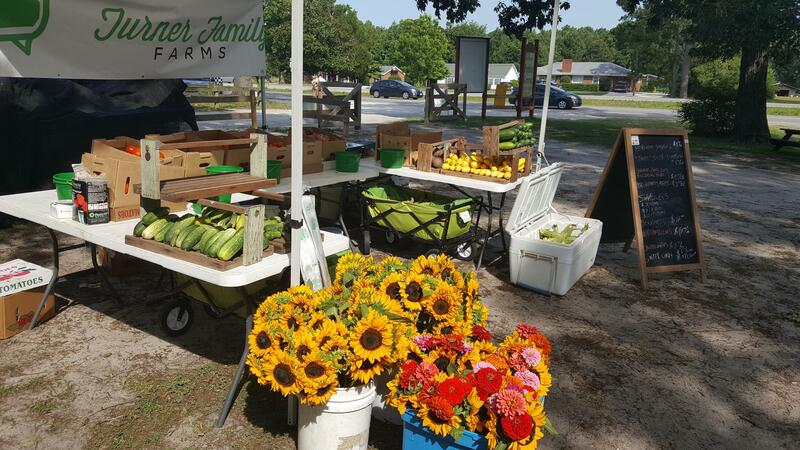 We are making a change to the Saturday Farmer’s Market at Porches (River Bluffs.) We are going to push back the hours to 10:00am – 3:00pm. We seem to have more people visit us after lunch at Porches, and that works fine for us. This Saturday, in addition to our regular fare of tomatoes, zucchini, yellow squashes, green beans and myriad greens, we received some eggs and ginger from Kyle Stenersen of Humble Roots Farm. Humble Roots is a beautiful place, well worth a visit, and just down the hill from Poplar Grove Plantation on Scotts Hill Loop Road. The River Bluffs crew has done a good bit of work on our Fall and Winter succession planting and also put the finishing touches on our new leafy greens hydroponics box – more on that next week. We would like to thank Cottle Farms again for filling our strawberry plant order at the last minute. We also managed to “get in” on an order from Finch Blueberry Nursery of 300 four-year old blueberry plants for next Spring at both the River Bluffs farm and the Teachey farm. Finally, I will be visiting Banner Greenhouses next week out near Asheville. Banner has provided us with some stellar organic seedlings this Fall, and we have contracted them to provide our (very early) Spring tomato seedlings. The varieties we chose were “Trust,” “Black Krim,” “Sun Gold,” “Indigo Rose,” and “Supersweet.” Banner is 100% organic and does an exceptional job grafting these tomato seedlings to a preferred Japanese rootstock. There is a great article on the grafting process here – written by the famous market flower grower and author, Lynn Byczynski. Have a great weekend, folks. Hope to see you at the market tomorrow.